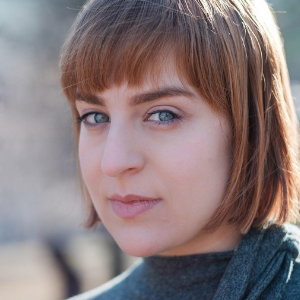 Courtney Plati is an SDC Associate director, actor, and educator currently working in the Boston area. She is a recent graduate from Salem State University where she found her passion for directing while receiving her Bachelor of Fine Arts in performance. She is the recipient of the SDC Directing Initiative Award for Region 1 from the Kennedy Center American College Theatre Festival 2018. This award afforded her the opportunity to attended the national festival as well as the opportunity to return to the Kennedy Center this past summer to attend their MFA Directing and Playwriting Intensive focusing on new works. Courtney is a former apprentice with CSC and has been in the CSC family since she was 17. She wishes to thank CSC and Bryn Boice for their continued support of her as an artist.